Justifiably well regarded or just overhyped? Aside from VB Wario Land, if there’s one game that causes people to get excited when discussing the Virtual Boy its Jack Bros.: a spin-off title from the Megami Tensei RPG series that sees players working their way down a series of floors, fighting enemies as a timer ticks down. But is it worthy of this, or is it just hype with its reputation built up by the high cost of the cart (particularly the North American version) preventing many from playing? Well it has its faults but it’s still a very good game. Character-wise you have three Jacks you can play through the game with: snowman Jack Frost, the pumpkin-headed Jack Lantern and Jack Skelton (Jack Ripper in the Japanese version), a rather cool looking knife-wielding, trench coat wearing skeleton. You can’t change characters once you’ve started so you have to consider which is the best choice for you. Lantern’s fireballs can’t be fired as rapidly as Frost’s snowballs but they do more damage. Skelton with his knife is the most powerful character, but obviously his stabs don’t have the same range as the projectile attacks of the other two. There are some great comical looking character designs for the playable characters as well as the wide variety of enemies you come up against with many things having a Zelda-esq look. As you progress through the game you will be faced with big cats, archers, knights, centipede-like creatures and many others. As you progress you will also be faced with obstacles such as warps, boulders, obscured parts of the screen and lasers. All this gives you a variety of interesting things to look at during play. As you work through the game, you are accompanied by a fairy named Pixie and she offers advice on whatever new threat a particular floor may bring. The corridors that make up the floors alter appearance with each world so you will go from an organic looking environment to a castle interior but a corridor is still a corridor so this doesn’t really offer much variety and you could be forgiven for not noticing. The 3D effect isn’t noticeably used here. The floors and characters are made up of two layers and you can see the next floor down below, so the game doesn’t look flat. There is a good effect as you transition between floors but it’s probably not the best game to bring out if you want to show of the capabilities of the Virtual Boy. The game is straightforward. As a timer ticks down you have to collect all the keys on a floor to unlock a gate which allows you to jump down to floor below. You have to battle enemies along the way and should you get hit your remaining time is reduced. When the timer hits zero, its game over. Gameplay is focussed almost exclusively on battle: you collect keys but you don’t locate them. They are marked on your radar screen and you just stroll over to pickup, disposing of anything that gets in your way. 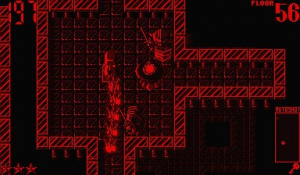 Sometimes an enemy may be holding a key that they drop once defeated. It seems a bit strange (and is a little disappointing) that some keys aren’t collected by say, solving a puzzle. Sometimes you may have to do things like move boulders but these are really just something to be moved, rather than something to make you stop and think. The game features 60 floors but many of them are small and will be cleared quickly. They are spread across 6 worlds but it is not six lots of ten floors: the first world is just 3 floors, then the number gradually increases with the sixth containing 20. The timer only applies to the current world which is good as in later worlds you will often find increased enemy attacks mean your time quickly running out. 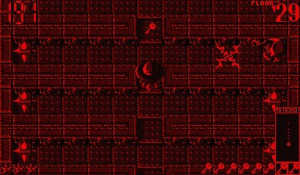 The last floor of each world features a boss battle which is the best part of the game as they are large interestingly designed sprites (well OK the first one is kinda crap). The battle will see you frantically moving about avoiding their attacks but trying desperately to fight back before your time runs out. The battle with a vampire is a highlight as you not only have to contend with a swarm of bats he sends against you but a moving floor as well. Other bosses include a giant spider and a dragon. A lot of variety is provided by the music which changes with each world. It’s all cheerful and catchy but some stages inject mystery and spookiness too. 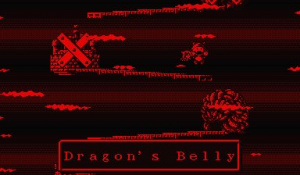 As is the norm, boss battles feature a faster-paced track to add to the tension. Sounds are simple but effective and there is a wide variety of springing, beeping, banging and slashing effects throughout so things always remain audibly interesting. The game gradually gets harder as you progress as the number and skill of your opponents increases. You are given unlimited continues but continuing places you back at the start of the current world so it doesn’t remove the challenge from the game. Each character has a special attack they can use to damage any enemies on screen: you are only given a few to use but additional ones can be collected as can other power-ups such as shields for protection and clocks for additional time. In later levels collecting additional time is essential. One type of enemy (Poltergeist) scarper as soon as you see them, but it’s worth trying to defeat them for the large time bonus they leave behind – of course spend too long hunting them down and the bonus becomes meaningless. Later worlds can get very challenging as you may make it to the boss only to find you don’t have enough time to defeat him (even if you avoided getting hit yourself). As each subsequent boss has a larger health meter this is something that you may find happening a lot. Of course this is where you go back to the previous floors and work out where you can save time – in a way this strategic thinking makes up slightly for the lack of puzzles. If you are struggling and want to attempt to clear a world another day, the game does feature passwords which is very handy. Once you’ve got the hang of the game you will be able to clear worlds very quickly but the game does remain replayable. Not just because it’s fun or because there are three characters to choose (though those both help) but because upon completing the game you are presented with a code to enable a hard mode. It isn’t a new set of levels (just the existing ones with additional challenges) but it’s a welcome addition. And if you want an additional way to play, Atlus have included a code to play through the game as Pixie. Once you’ve got the hang of it Jack Bros. is a short game and it’s a shame that there aren’t more puzzles on offer. However multiple characters and two difficulty settings extend the life of a game that is a lot of fun to play already. It features great music and looks good too – though it doesn’t really gain anything from being on the Virtual Boy. 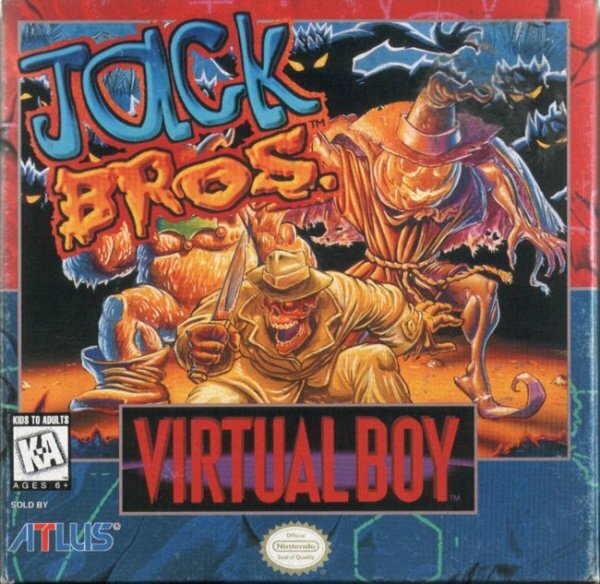 Overall the game’s strengths help to make up for any weaknesses, making Jack Bros. an essential Virtual Boy purchase. These VB games hurt my eyes. Go ATLUS. I love them so much. 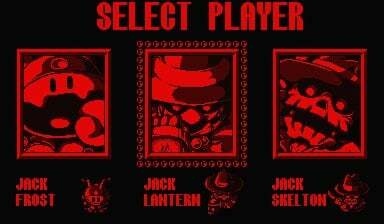 The Holy Trinity of Virtual Boy: Mario Clash, Wario Land, and Jack Bros. This game rules. 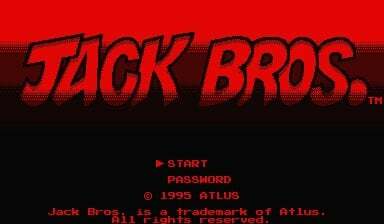 I'd love to see Jack Bros. get a sequel. I never heard of most of these VB games. They must have never been released in the U.S. I never got this when I had my VB. I wonder why? Can't recall if was around or if was price or what. wish I had. Should get the vb again someday, maybe. The game is not an RPG. It's a top down shooter/slasher played against a time limit. Think Gauntlet in narrow corridors. Kinda wish this game was for the SNES. It would've been perfect! I like the music especially.